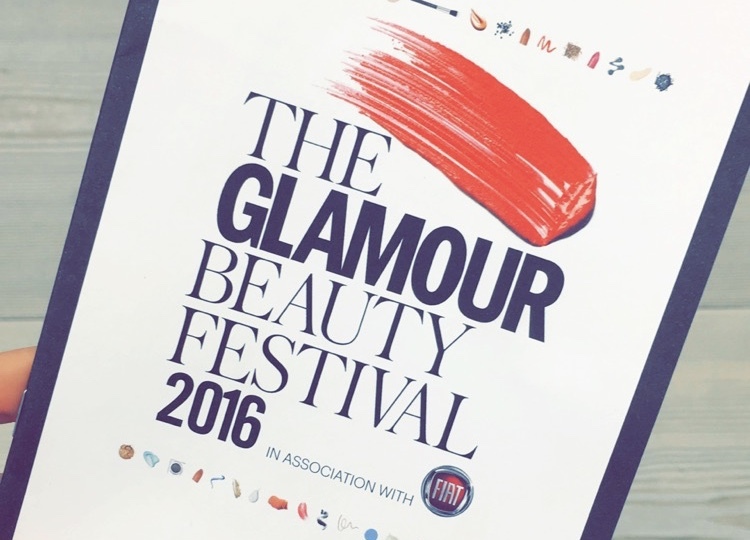 The Glamour Beauty Festival, that just sounds like heaven by itself doesn't it? Yesterday I attended the event at The Saatchi Gallery and I can tell you it WAS heaven! From the moment I stepped through the door I could already tell it was going to be an amazing day! Just after our tickets were checked we were handed a card to claim a free glass of champagne from the champagne bar on the 2nd floor. I really loved the way the event was laid out - It was easy to navigate around and you could choose which area you wanted to visit first. We chose the hair room first as it was as you walked in on the left and we wanted to see absolutely everything, it was filled with 3 gorgeous brands - GHD, OGX and Redken. 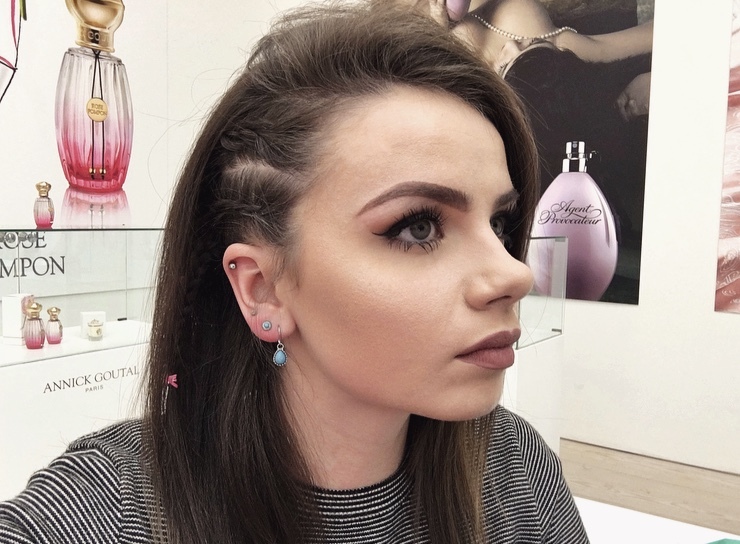 There were so many things you could have done such as curling, straightening, up do's, braiding - as my hairs quite short I opted for braiding! After the hair room we went across to make up heaven, there were brands such as Nars, Illamasqua, Laura Mercier and Benefit giving free tutorials/makeovers to everyone who wanted one and as you can imagine the queues were large for every stand! The event was of course in collaboration with Fiat so the next room was dedicated to their new cars, they had a big green screen and props so you could have yourself edited into the car. Also in this room was a space for a beauty masterclass however we didn't get to see one of these in action! 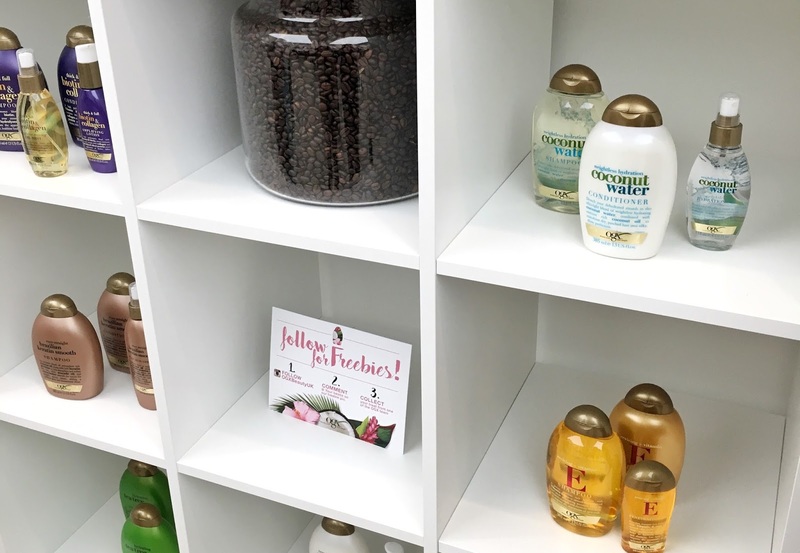 We attended a talk called 'Becoming A Cover Girl' hosted by Zoe Ball who was speaking to the beauty vlogging sensation Tanya Burr. I have always loved Tanya so it was really nice to hear what she had to say about becoming a blogger, all the exciting things she's done since creating her blog in 2009 and what she would love to be doing in the future. Onto skincare - in this room there were again many amazing brands such as Garnier, Balance Me, Liz Earle and Elizabeth Arden. Part of me wishes I went to this event without any makeup on so I could've experienced the skin consultations/treatments along with also the makeovers in the makeup room. We did however try Garnier's Oxygen Bar which was a really good experience - you simply pop the tubes in your nose and breath in the completely fresh air, it felt so nice! They had the most gorgeous scents in the fragrance room from brands such as Jimmy Choo, Elie Saab, Annick Goutal and Agent Provocateur! You could take part in a test to discover which fragrance describes you best and it was completely right! We both got matched to the brand new Jimmy Choo scent which is absolutely heavenly and I cannot wait till it is available in stores. There was a 3rd floor for all nails and an area where you could actually have a makeover and be photographed as if you were going on the cover of Glamour Mag! They were doing complimentary manicures in the nail room from brands such as OPI, Sally Hansen and Rimmel. Our tickets entitled us to a free goody bag worth over £160!! I will pop a photo of everything in this goodie bag below! It was an absolutely amazing experience and I cannot wait to go to the next one!